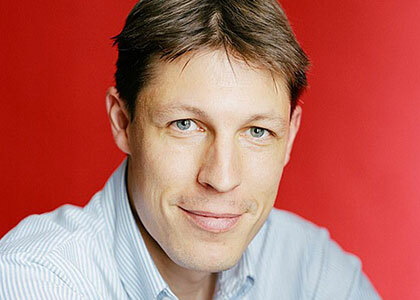 Oliver August is the new Europe Editor at The Economist, covering a wide range of events from Gibraltar to Vladivostok. He writes extensively about the EU, the euro crisis and Russia. August was The Economist’s Africa Editor. For five years, he covered the continent’s emergence as an economic success story, travelling in Africa every month to meet with government officials, business executives and entrepreneurs. He has a strong interest in foreign investment in Africa, and watches closely the China-Africa dimension. August was previously based in Beijing for seven years and wrote a very well regarded book about China, “Inside the Red Mansion” which was translated into eleven languages. The book tells the story of the hunt for China’s most wanted man. Lai Changxing is an illiterate billionaire tycoon on the run from corruption charges. Sensing something emblematic in his outsized tale of rise and fall, August tries to find the self-made billionaire and understand how he reinvented himself. August was a Middle East correspondent for The Times newspaper in Damascus, Beirut and Baghdad, and retains a strong interest in Arab political and business developments. He started his career as a correspondent for The Times of London. August has covered financial markets in America, Europe and Asia, and worked as a war correspondent in Bosnia, Afghanistan and Iraq. August was born in Germany and his first book “Along the wall and watchtower: A journey down Germany’s divide” chronicles an 800 mile journey along the former Iron Curtain and examines the political, economic and social consequences of German reunification. His writing on Germany won him the Anglo-German Foundation Journalism Prize in 1998. August regularly appears on the BBC, CNN and CNBC and speaks at major government and business conferences in Africa, the Middle East and Asia. His writing has appeared in Wired magazine, Marie Claire, U.S. News & World Report, the L.A. Times, the Wall Street Journal, the Financial Times and the Washington Post.